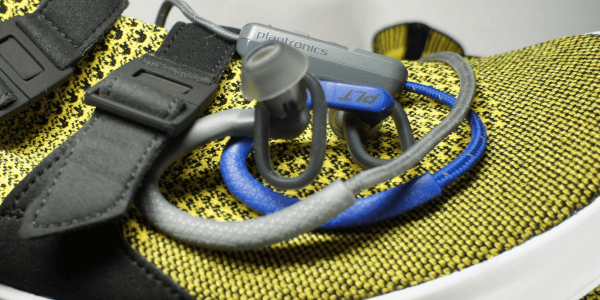 Today, we’re having a look at the Plantronics BackBeat FIT 350, and we’re going to, thoroughly, check out what they can do and what they can offer the active sportsperson. This is the newest addition to the FIT headset lineup, and this time around, an updated version of their 300 series of earbuds. It features some cool new additions, including a re-designed earpiece that might just have been the best fitting earpiece, on me, ever. You absolutely have something to look forward to with today’s review, where we’ll bear witness to the famous craftsmanship of Plantronics. 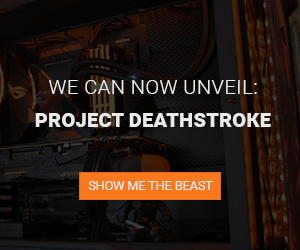 But before we get ahead of ourselves, we’ll start with the unboxing experience. 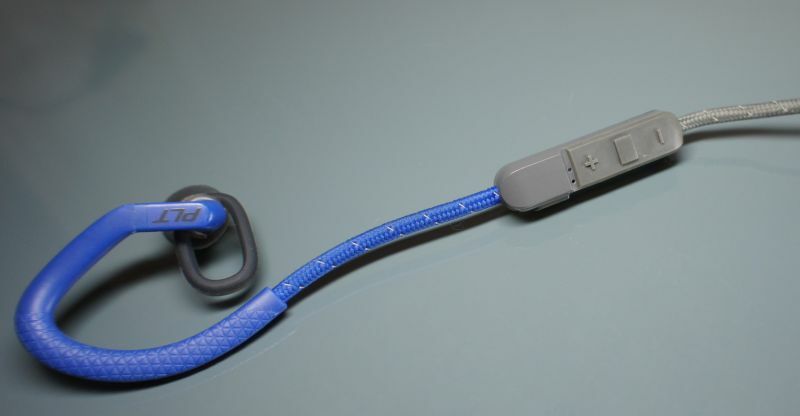 The packaging is simple, and it features the classical blue color of Plantronics, a depiction of the earbuds on the front and the product details on the back. Along with the earbuds you’ll find three sets of ear tips, in size S, M and L, a USB charging cable and a carry pouch made out of fabric. The supplied accessory package consists of all the basic needs, on an everyday basis. In terms of noteworthy features, Plantronics, themselves, highlight the comfort and stability, passive noise reduction, a long battery life, and naturally an IPX-5 rating, which means that the FIT 350 is water resistant and sweat proof. Plantronics has provided an introduction video of the FIT 350, which you can watch below, in case you want to learn more about the earbuds. It’s no secret by now that when the title reads Plantronics, we’ve become accustomed to high quality, both in terms of design, but also audio. It’s not by chance that Plantronics is acknowledged worldwide as a leading manufacturer of audio devices for both professional and personal use. We’ve examined several of their products, and we certainly have high expectations, today, with the new Plantronics BackBeat FIT 350. 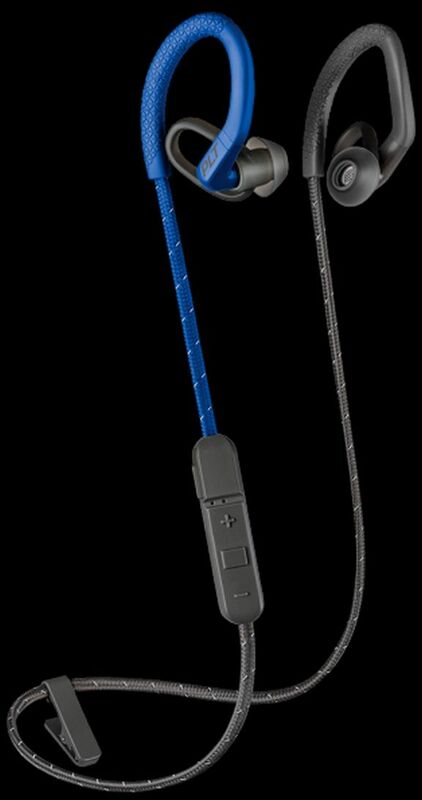 The FIT 350 sports a unique design when compared to its two predecessors, but also a design that is reminiscent of that of other competing variants within the sport earbud segment. 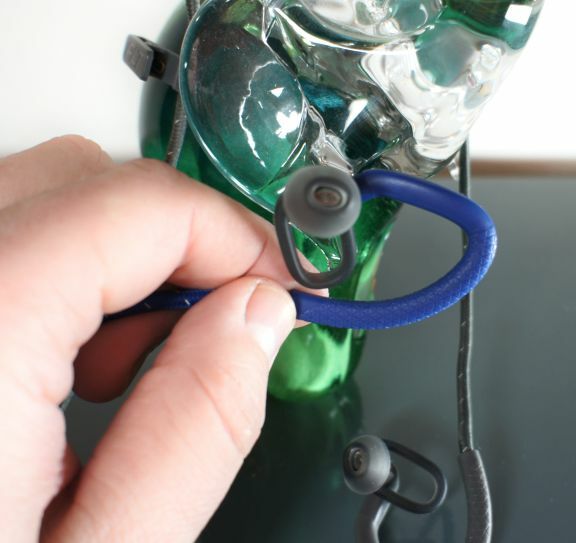 As such, it features the characteristic ear hook that goes behind the ear, and an in-ear piece that is molded to fit within the ear canal, and which promises a level of passive noise reduction. 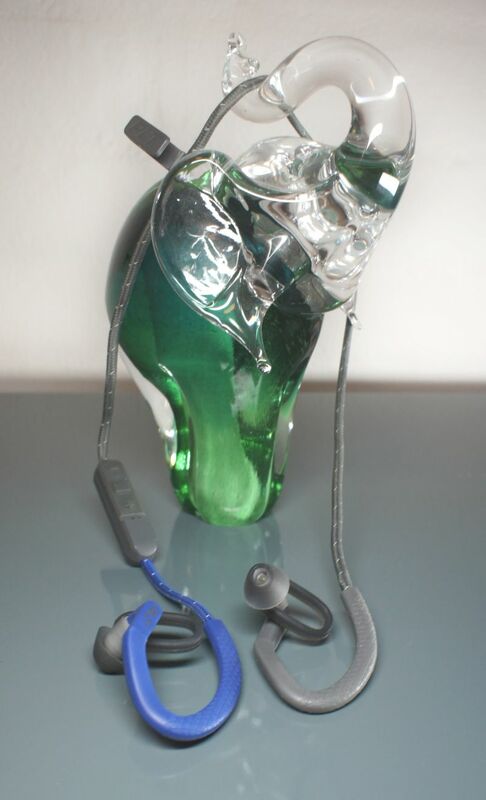 The two earpieces are connected, but apart from that the set is wireless. 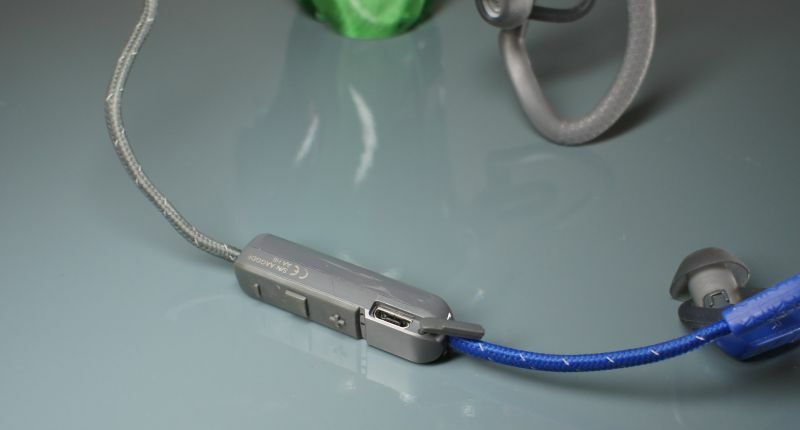 The cable that connects the two earpieces also feature an in-line controller as well as the battery, which is said to support up to 6 hours of listening time. 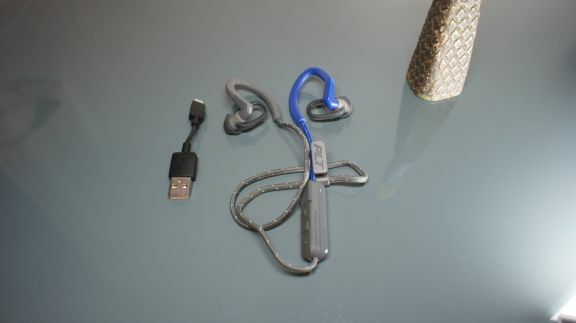 On the cable, we also find a clamp so that you can fasten the earbuds to your clothing, and thereby reducing the risk of losing them. The FIT 350 comes in a variety of versions, but the one we have received is the blue/gray version. The Fit 350 is very lightweight with its meer 15 g, which essentially means that you can hardly even sense them whilst wearing them. The built-in noise reduction makes them suitable for indoor use, as well, where the need to dampen surrounding noises is even greater. The use of materials strike me as very deliberate and of high quality. The cable is braided, which ensures longer durability, and at the same time, it won’t stick to your neck when sweating. The earpieces feel very durable as well, and I’m confident that nothing will happen to them, were they to be dropped on the ground. The hook that goes behind the ears is flexible and causes no strain at all. It’s made from rubber, meaning it doesn’t get sticky when worn for a longer period of time. 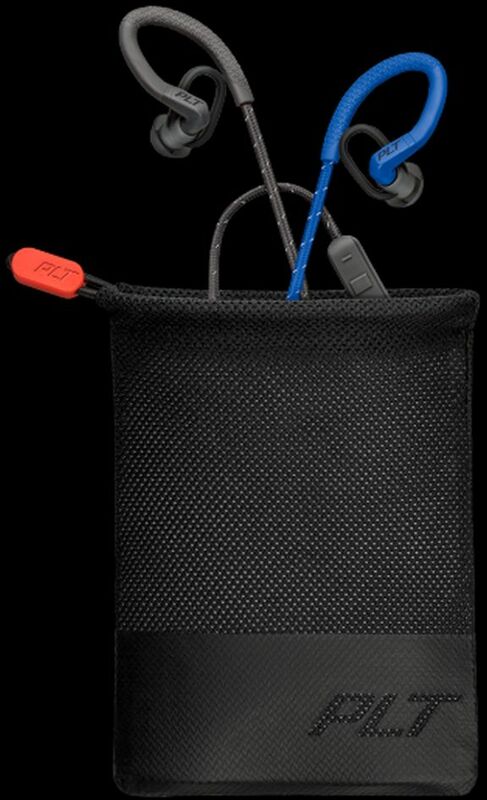 Personally, I find that Plantronics’ FIT 350 is a stroke of genius, since it is hands down the most comfortable set of sport earbuds that I’ve ever used. Ever. I have no doubt about which set I would recommend for him or her that enjoys exercising at the gym. The Plantronics FIT 350 achieves something remarkable in terms of comfort. The ear hook sits perfectly, but it’s the in-ear piece that is the dominating feature here. I’ve never before tried on an earpiece that fits so perfectly well like the earpieces of the FIT 350. When Plantronics promises noise reduction, they tend to deliver, and that is certainly also the case here with the FIT 350. They fit perfectly to my ears, and sit tightly in my ear canals, without any tension at all. When they are worn, they sit snugly, and can be used for hours straight, at the gym, without becoming uncomfortable. During runs and other forms of exercising, they also sit well both behind and in the ears. On the cable is a small in-line remote control, with pause/play, volume up/down, as well as the option to answer calls. It’s also through this small unit that the earbuds are charged after their 5-5½ hours battery life has been drained. The remote control is offset towards one ear, which makes it easy and intuitive to use. If we dive deeper into the specifications, the FIT 350 is IPX-5 rated, which means that it will, to some degree, withstand sweat and water. Also, we find the support of Bluetooth 4.1, with a range of up to 10 meters, which should meet the demands of most gymgoers. The sound quality of the FIT 350 is as expected when keeping in mind that it is powered by small 6 mm drivers. 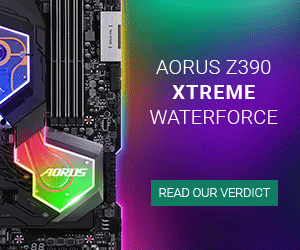 However, it’s still an improvement on earlier models, where the FIT 350 focuses on improved clear midtones, as well as a more discernible bass. Some distortion of the treble was noted when cranked all the way up, but still, in general, the sound stage is very nice, and especially when compared to other earbuds within the same price range. The volume can be turned up very high, and combined with the passive noise reduction, you’re really good to go in any gym. As always, we’ve consulted PriceRunner.dk in order to fetch the current best price for you. At the time of this writing (Mar 5, 2019), the Plantronics BackBeat FIT 350 can be had for merely $88, including shipping. In our opinion that is a very sharp price for a set of very well-crafted earbuds. Plantronic’s new sport earbuds, the BackBeat FIT 350, is a game change within its price range. It is, beyond comparison, the most comfortable set of sport earbuds that we’ve tested to date. The earpiece is a stroke of pure genius, and we’ve been deeply impressed with many aspects of the FIT 350 throughout today’s test. Plantronics has improved the FIT 300 series in so many ways with this set. 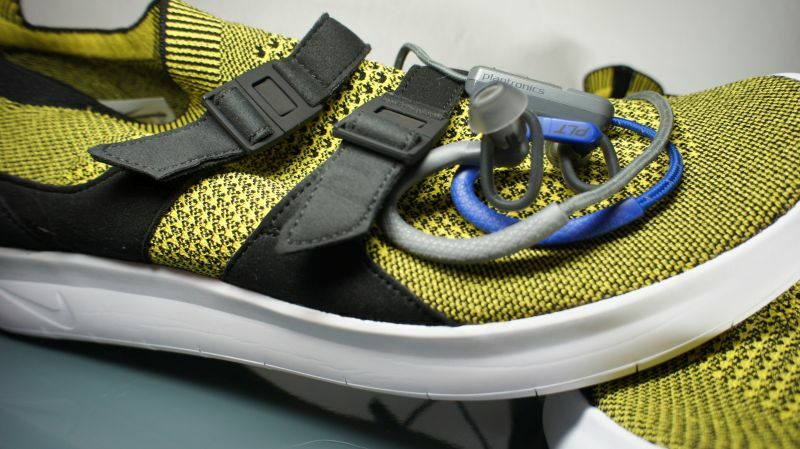 What favors the FIT 350 the most is hands down the comfort and the earpieces. They are clearly the best that we’ve had the pleasure of testing on in-ear sports earbuds. They are wireless, and weigh virtually nothing. The FIT 350 has a range of sweet features, and Plantronics really deserve some praise for this. Lightweight, IPX-5 rating, great fit, comfort, and naturally, a really sharp price. For less than $90, including shipping, you can possess the most complete set of earbuds ever made, at least if you spend the majority of your working out indoors. If we were to point out some aspects of this set that still leaves us wanting more, it would be two things. The battery and sound. None of these are in fact particularly bad, on the contrary. However, they can be even better. I find that 6 hours of battery life is a bit in the low end, and it basically means that if you use them to and from the gym, they require charging up every other time. The sound is better when compared to earlier models, but it still leaves room for improvement. 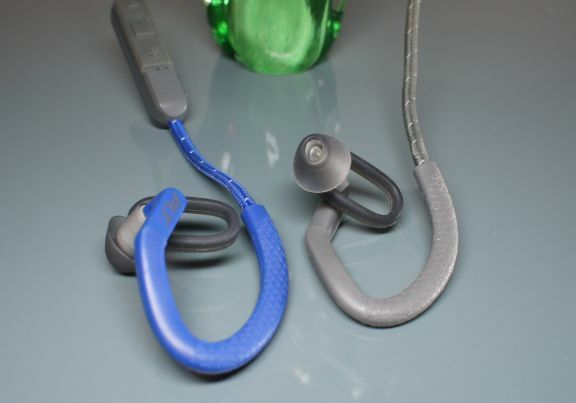 If you were to ask me which set I’d recommend for the active sportsperson, I’d definitely point at the Plantronics BackBeat FIT 350, even though there are more expensive alternatives within Plantronics’ own lineup. The BackBeat FIT is nearly perfect. 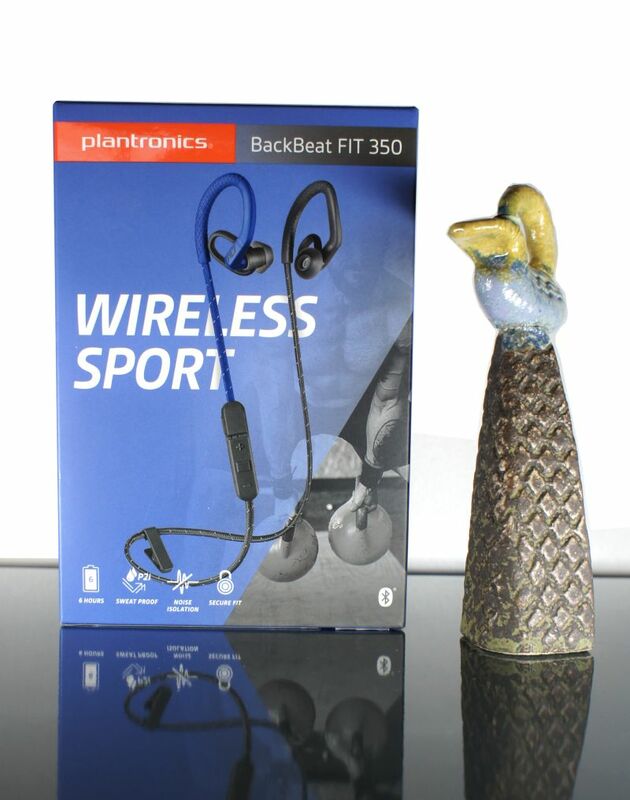 We now bid Plantronics and their FIT 350 earbuds farewell, with a score of 9/10, as well as the Editor’s Choice award.